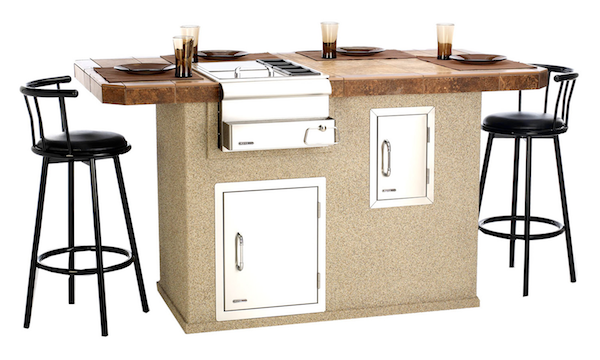 The Bull range Outdoor Bar s is designed to offer a great entertainment area for your garden or patio. Designed with entertainment in mind, the Outdoor bar offers everything you would expect in a bar, including seating space, all aimed at creating a focal point for your entertainment. 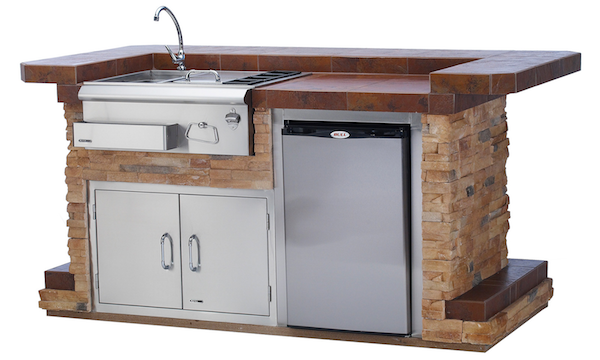 The Bull Outdoor Bar comes to your home in an easy Plug-and-Play format, so you are ready to start enjoying your cooking experience and entertaining your friends and family in no time. A number of finishes are available for your Bull Outdoor Bar. There are a number of options for the bases, both in terms of colour and finishes, whilst a selection of tiles are available for the top, making sure that your outdoor kitchen fits in with your decor. Studies have shown that by investing in an outdoor entertainment area you will be increasing the value of your home, thus installing an outdoor kitchen is also an investment in your real estate. All in all the Bull Outdoor Bar s are designed to offer a great centre spot for the outdoor entertainment enthusiast, by bringing together all the materials one would expect from a bar to the outside. For more information we suggest you either visit one of our Bull Outdoor products dealers, or alternatively we would be happy to answer your queries. Contact Us here.